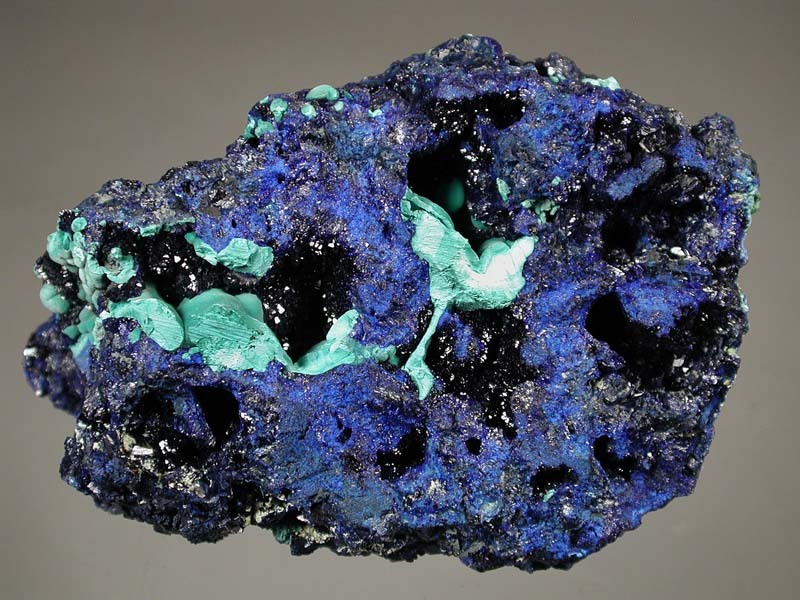 A mass of mostly massive azurite with a cockscomb of vugs lined with lustrous, deep-blue azurite crystals. 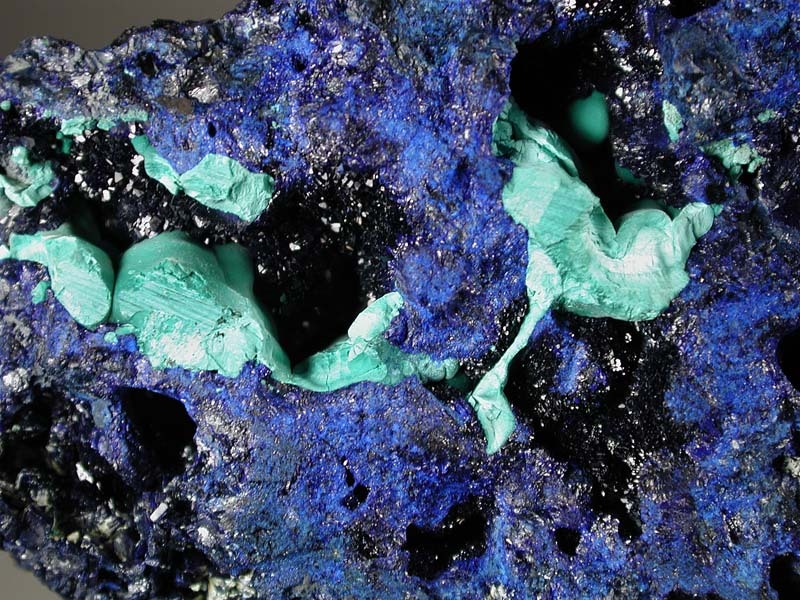 There are also smooth globs of botryoidal malachite in the vugs. 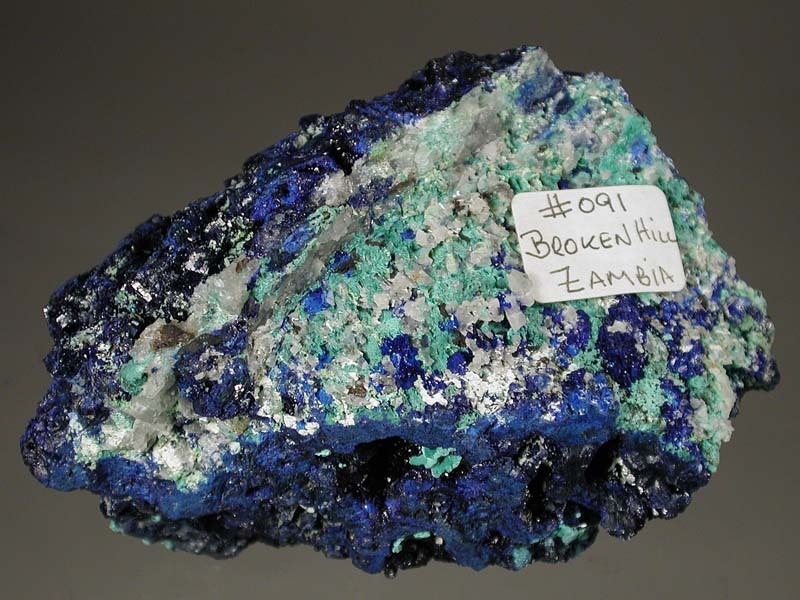 Very nice piece from a classic locality!